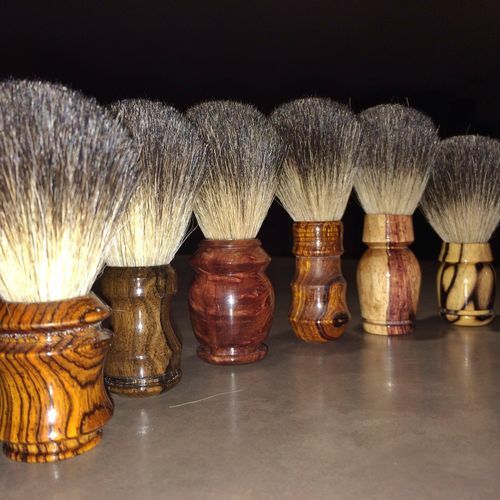 I recently made myself a traditional wet shaving set. Complete with Double-edge razor, badger hair shaving brush, and a drying stand. It led to friends and family asking for prices and to make them a set. So now I have my work cut out. Sweet! Where did you buy the badger brush? They are on the firm side and a bit poky but I think they will break in nicely. Havnt found a better price yet. Nice work, been looking at these for sometime for a project.